There is nowhere else on earth quite like it. 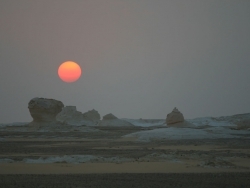 Actually, Egypt’s Black and White deserts could easily be on another planet. Their beauty is utterly surreal, and there’s a feeling of stillness and eternity there. A huge sphinx in a field of giant mushrooms. Towering pinnacles like chimney stacks, animal faces and birds frozen in flight. They all stand in gold dust sprinkled with black pebbles, and a full moon bathes the scene in liquid indigo light. 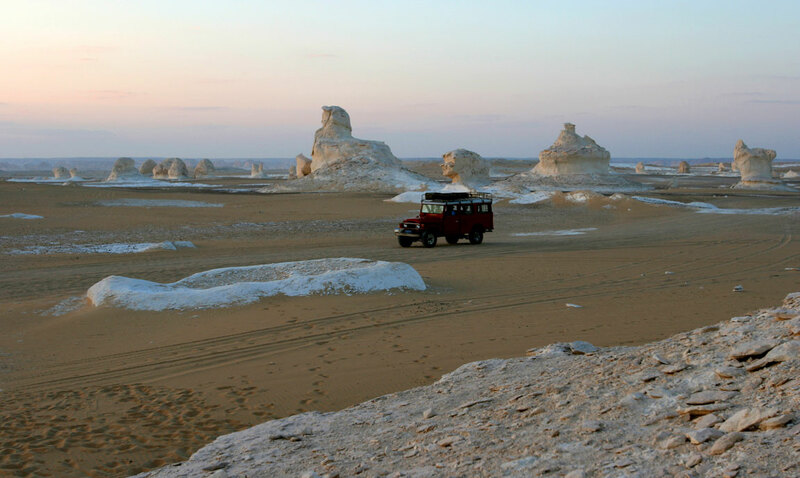 It appears as a larger than life Salvador Dali creation; actually, it’s Egypt’s exquisite and inspiring White Desert. 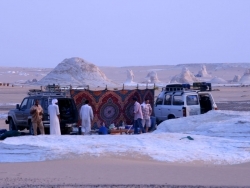 For over 3 000km², ice-white chalky sculptures rise from the sandy desert floor in a natural art exhibition. 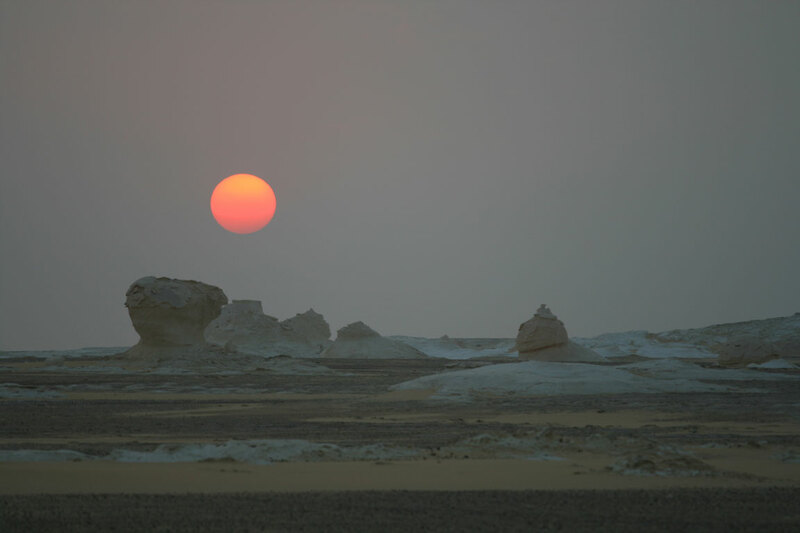 Carved by the wind into fanciful designs, the White Desert is as close as you’ll get to walking on the moon. It’s so quiet you can hear your heart beat, so movingly beautiful you don’t want to blink. 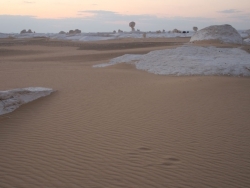 About 500km from Cairo, the White Desert forms part of the Western Desert of Egypt – an expanse of sand that is also part of the Sahara that swaths right across North Africa. 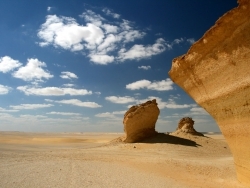 The great sand sea of the Sahara is mostly a massive dune field, but for a few exceptions: the White Desert and Black Desert are two. 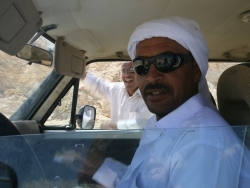 Ali Ganawi cuts a dashing image, in long white robes and Ray Bans. 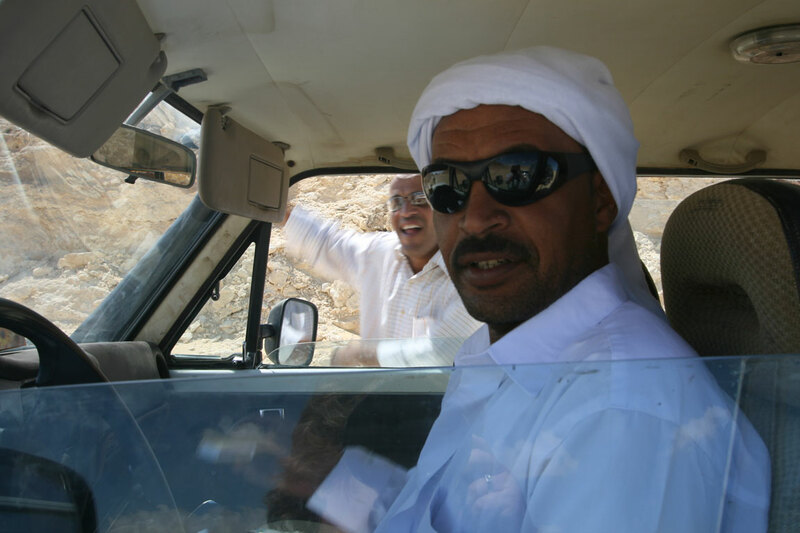 He’s thoroughly Bedouin and has been driving the desert all his life. When I ask if he’s ever been lost, he looks quizzically at me and says: “How can you get lost, when you have the sun and stars?” They’re navigational tools to Ali, who has never used a compass, much less a GPS. He spends his life driving where there are no roads, not even tracks – and there is definitely nobody to ask for directions. 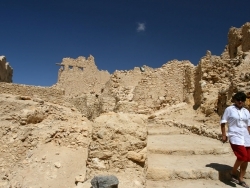 The ancient oasis town of Siwa is enchanting, with the old mud-brick city of Shali spilling down the mountainside. 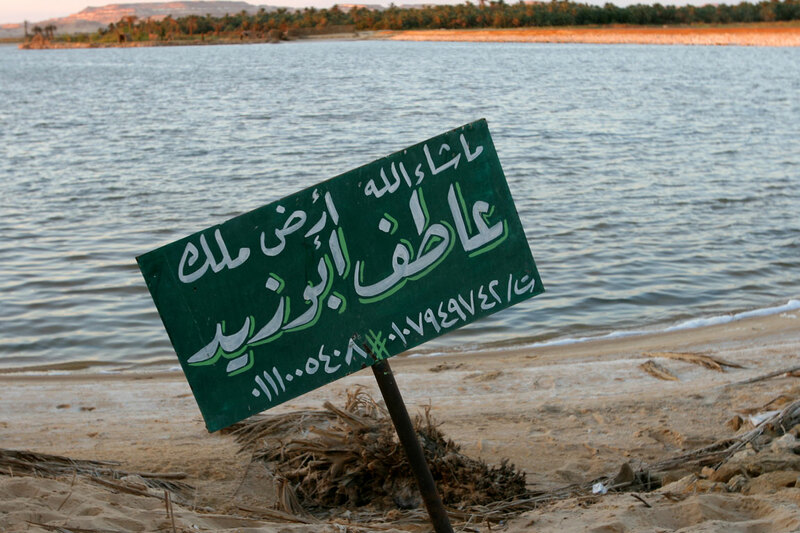 Oases lakes and sweeping palmeries transform the desertscape into a substantial piece of green paradise. 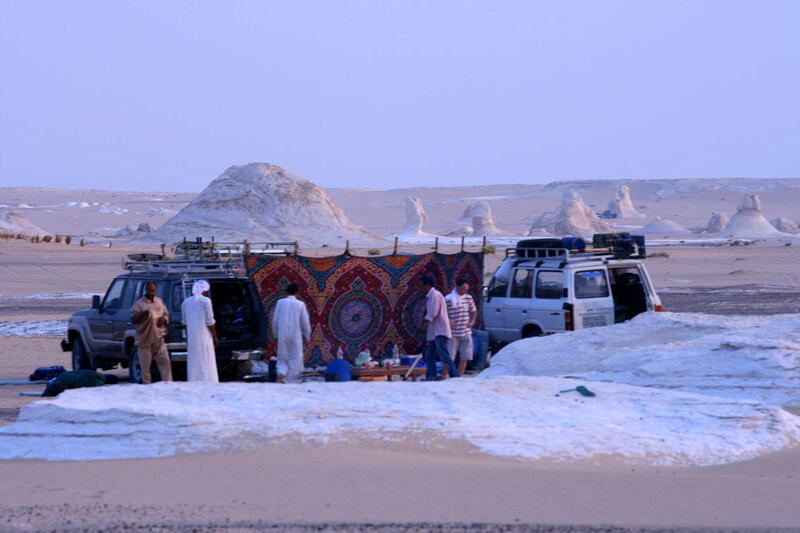 The local Bedouin people here are friendly and hospitable, and the vibrancy of the culture is depicted in colourful handwoven carpets and tapestries. Intricate silver jewelry is also a traditional Bedouin craft, and often depicts the sun and stars which are integral to Bedouin life. Now we’re off, on an unmarked desert highway. It’s like launching into space. The jeep is packed with food and water, carpets and tables, tents and firewood. 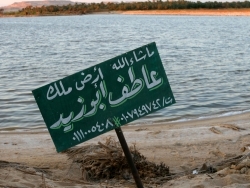 Only sand lies before us, miles and miles of it, all the way to the next oasis town of Bahariya. You don’t count kilometers in the desert, you talk in time. 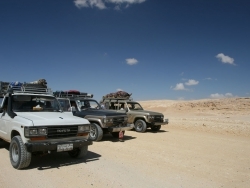 Just a few kilometers can take extremely long to traverse, if the sand is thick. Today, we’ll be jeep bound – stopping just for lunch. So catching some shut eye may in order. Somehow that didn’t happen, not for a minute. It was simply impossible. As the sandscape unfolded before me, it became more and more alluring in its surreal beauty, more captivating in its apparent nothingness, and by the end of the day I was wide eyed with amazement and completely inspired. It was a journey of the soul, absorbing the unspoiled splendour of the place and being bewitched by its vastness. 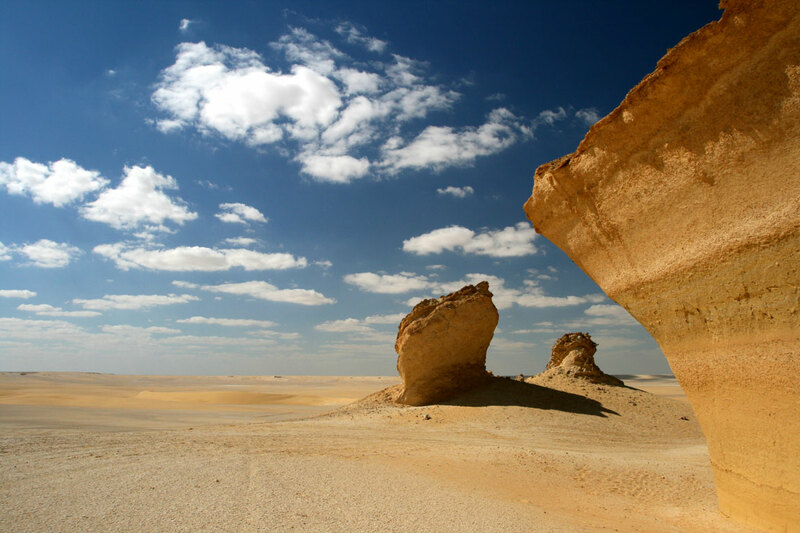 Deserts are places of stillness, yet their silence speaks. Your imagination runs wild when you are surrounded by sand into infinity. Yet there are delicate sea shells at my feet. 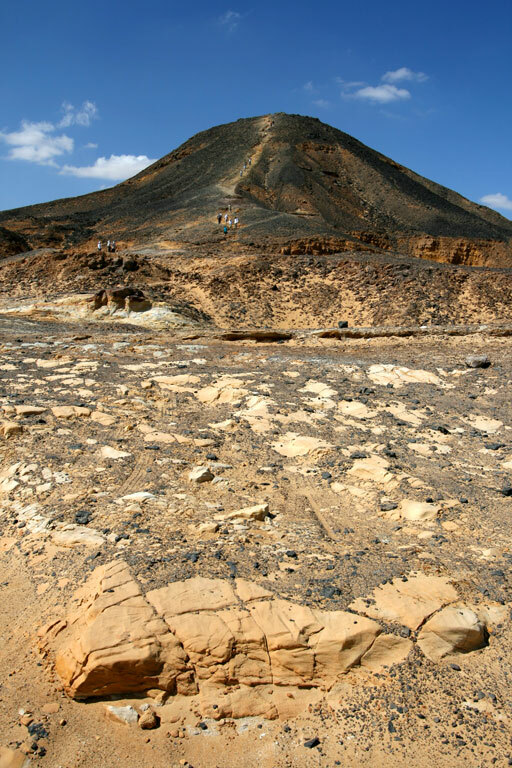 They’re fossilized and date back 80 million years to when this sand sea was under the ocean. You just can’t stretch your mind that much, standing here now in wall-to-wall desert, hundreds of kilometers from the nearest Mediterranean coastline. It’s an enigmatic place, that appears empty on the surface but holds ancient secrets that encourage you to think beyond the mirage of daily life. 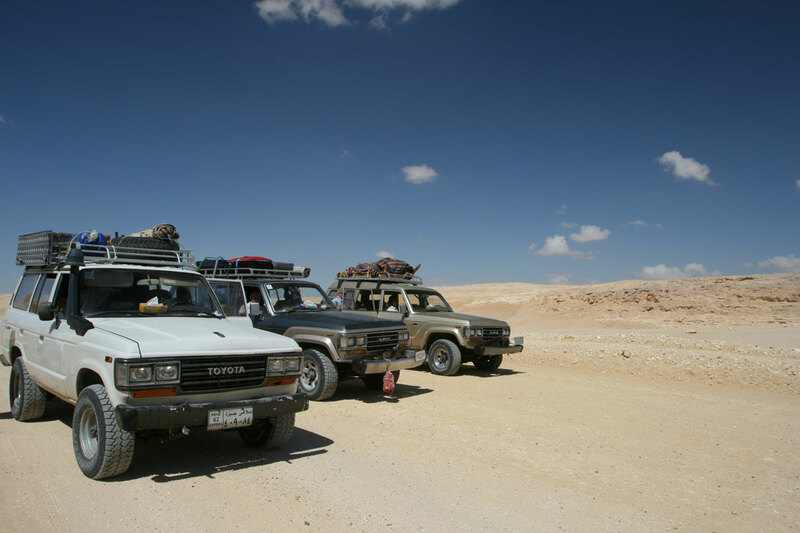 Bahariya is the gateway to both the Black and White deserts, that lead off a long straight stretch of asphalt. The hopelessly unexpected Black Desert starts showing its sultry face just outside this oasis town. 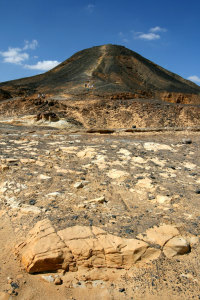 Low slung sand mountains appear to have been sprinkled with tiny black pebbles, as if a giant hand from above dusted the hills in black basalt. It’s a true moonscape, scorched and surreal. Crystal Mountain lies a little further along, but you’d drive right past if you didn’t know about it. Quite unobtrusive, the mountain is named for the quartzite crystals that dazzle its slopes. A natural rock arch of glistening crystals leads to a sand path past shining gems encrusted in the rock. 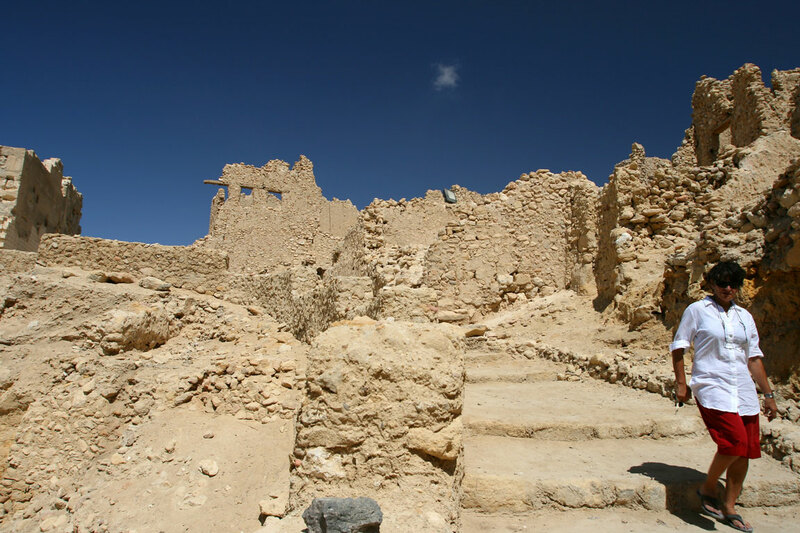 The place is said to have spiritual significance and special powers. That may be, but it’s also magnificent in its natural simplicity. Driving south, the sandscape flattens out as if the hills are slowly being ironed flat. And then the mushroom fields start forming, taller and taller. 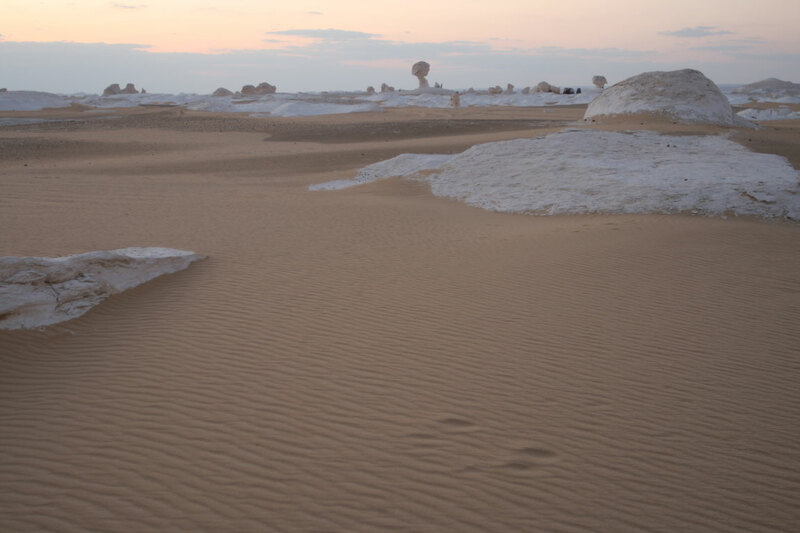 The formations are other worldly and first appear as strange desert snowmen that have melted a little in the sun. But the sculptures are solid limestone. Once beneath the ocean, now the elements have carved the rocks into earth sculptures that depict whatever the mind chooses to see. If you let your imagination run wild, you will find yourself in a fantastical land of creatures and characters frozen in time. The White Desert completely defies description in its majestic, awe-inspiring beauty. It is a slice of peaceful nirvana on earth. Sleeping under a star-spangled sky, on a desert floor of sand is unforgettable. Surrounded by ice white rock sculptures that glow under the full moon, is almost ethereal. Sure, you can sleep in a tent if you choose, but that would shut out the stars. In the pure desert air, every heavenly body is brighter and whiter, and every sound is amplified. There’s a sense of being fully present, of what’s important and what not. And tonight, sleep is a very distant thought. Lying flat on the sand staring straight up to heaven has got to be the ultimate natural theatre. This is a million star hotel. And the experience is too precious to sleep through. Ooh, the White Desert looks and sounds wonderful. 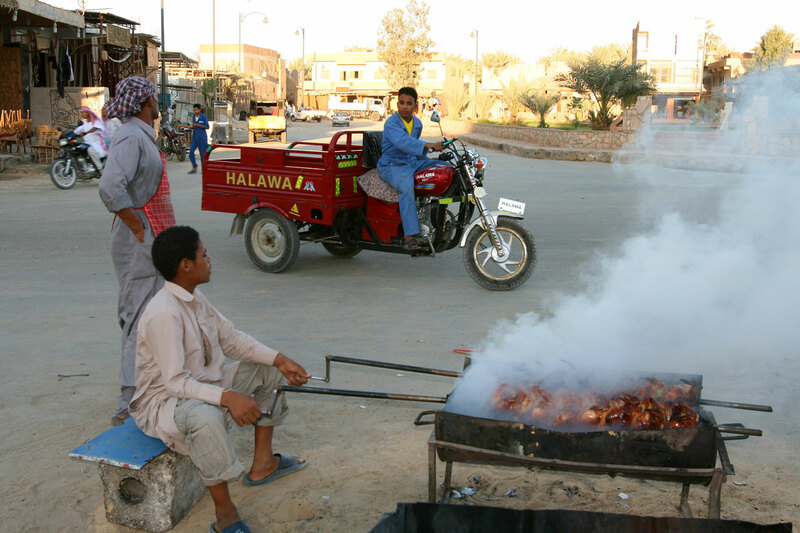 I love deserts and can’t understand why some people think they’re “empty”. “So quiet you can hear your heart beat” – magical.